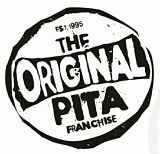 Fantastic Opportunity to own an established Pita Pit in Corvallis, Oregon at a great price. Great Opportunity to own a part of Oregon State tradition. The Corvallis Pita Pit was opened in 2001, and has been a part of student life ever since. The location is amazing! Located across the street from OSU’s campus, and near the Monroe night life. 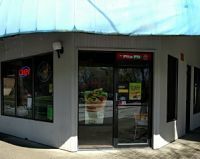 The Corvallis Pita Pit was reacquired and remodeled by current owner in April 2015. Most of the interior, signage, and equipment is new. The store is ready to thrive under your ownership. The catering side of the business has great relationships with OSU athletic teams (feeds football during spring and fall training), serves many of the Greek houses, and serves many of the local businesses. The current owner is selling because he lives in Portland, and owns an additional Pita Pit in Salem Oregon. Don’t miss out on a chance to get in on a great business and part of OSU student culture! Owner financing is potentially available.